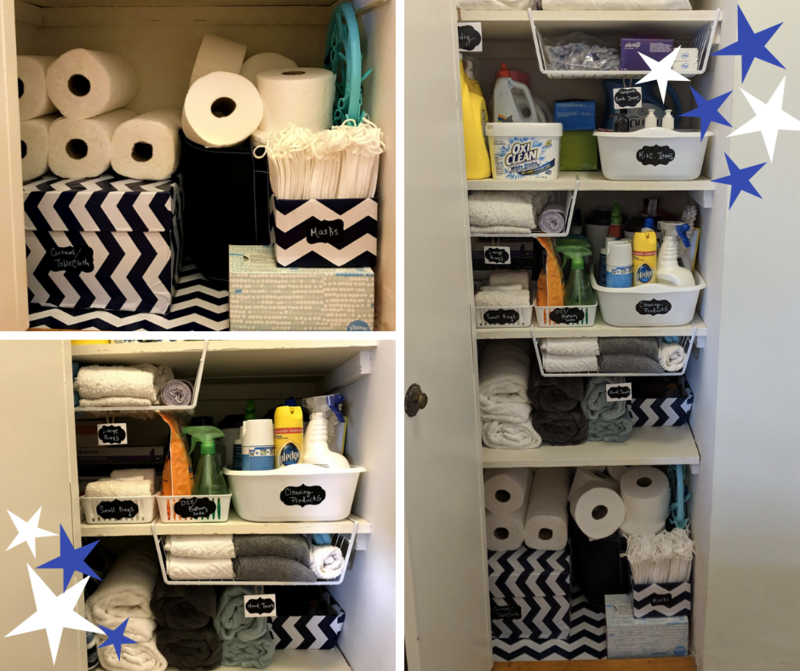 Do you have a tough time keeping your home and daily routine organized? I find it difficult too! But, I love the way my home feels when it’s clean and everything is in its place. Sadly though, it never seems to last long. Boohoo. 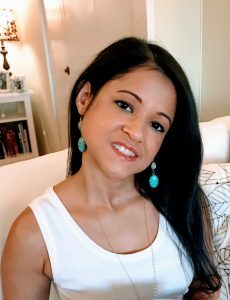 Between me, my hubby and taking care of our baby girl Adeline things are constantly moving around and we don’t always have time to return items to their place till the end of the day. So what’s a girl (or guy) to do? Well, things may not be perfect in my home but there are a few things I’ve stuck to for some time now that have really helped. I know, I know, you’ve heard this one before. The decluttering tip. Well, there’s a reason why you’ve probably heard it, it’s a game changer! 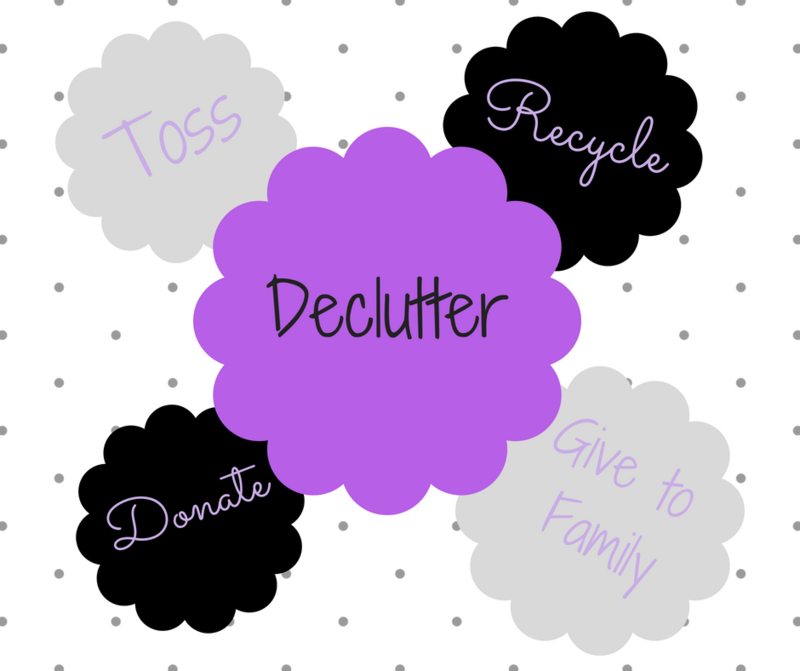 Decluttering keeps the unused and unwanted items (aka junk that we can’t seem to let go of) in check and out of the house. I’ve seriously become obsessed with decluttering. At first, it was hard parting with my stuff but once I realized how much space I was gaining for more important things (or shiny new fun items) I became hooked. Plus, there’s less to clean. That’s why it’s a game changer! 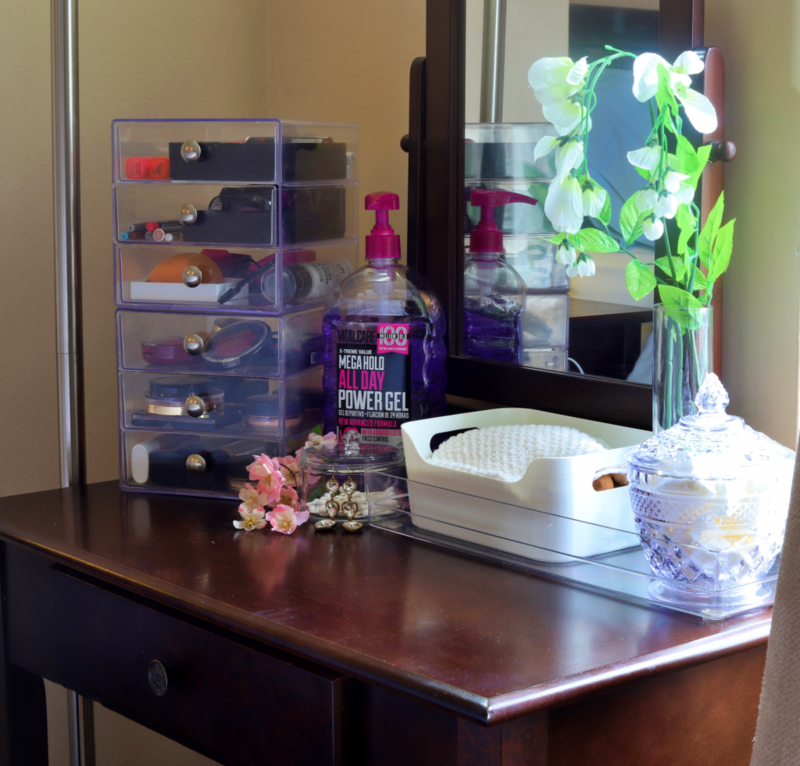 You have less to clean (time saver) and more space to keep things organized and hopefully in closets and drawers as opposed to out on a counter or table collecting dust. Need more closet space? Look through your closet and if you are finding items that you haven’t worn in 1-2 years then ask yourself if you are ever truly going to wear it again. If you haven’t worn that item within the last couple of years then you probably won’t miss it once it’s gone. What about in the kitchen. When was the last time you used that immersion blender? Or how about those small gadgets we get sucked into buying but only use a handful of times, like that egg slicer or apple corer? Tons of shoes in your closet?? Wait!!!! Before you think I’m suggesting to get rid of all your fabulous shoes and go running off to another blog just hear me out for a minute. I don’t think you should go crazy tossing out your shoes. I’m juuuussst saying, maybe you can part with a few pairs. Then you’ll have more room to display the ones you truly love or dare I say more room for a new pair. Wondering what to do with everything your finding to get rid of, short of tossing them in the trash? Consider donating or giving away to friends and family. 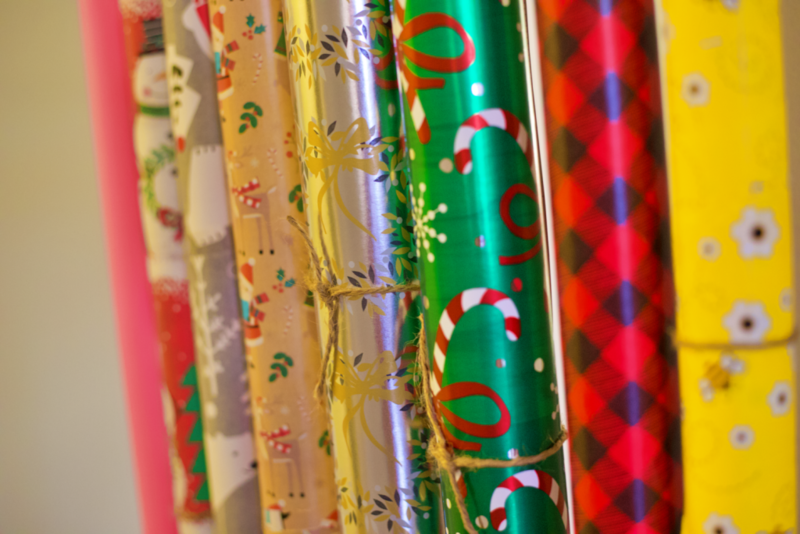 You can donate to thrift shops, church, goodwill, and Salvation Army. Goodwill and Salvation Army may also be able to pick up your items right from your front door so make sure to look into those services and if it’s available for your location right on their websites. And lastly, don’t forget to recycle whatever you can. Old shoe boxes, glass vases, empty bottles/containers are a few things you can keep in mind to recycle. This is one I’ve been really good at for many years. Prepping whatever I can the night before so I can get ready faster in the morning. I usually pick out my outfit, make sure my purse is ready to grab and go and sometimes I’ll even prep my breakfast if I have time. Now that I’m a mom I also like to get my daughter’s diaper bag ready, pick out an outfit for her as well and get her bottles/formula ready. Now, the reason why I say prep “something” is because you should think about what your morning normally looks like. 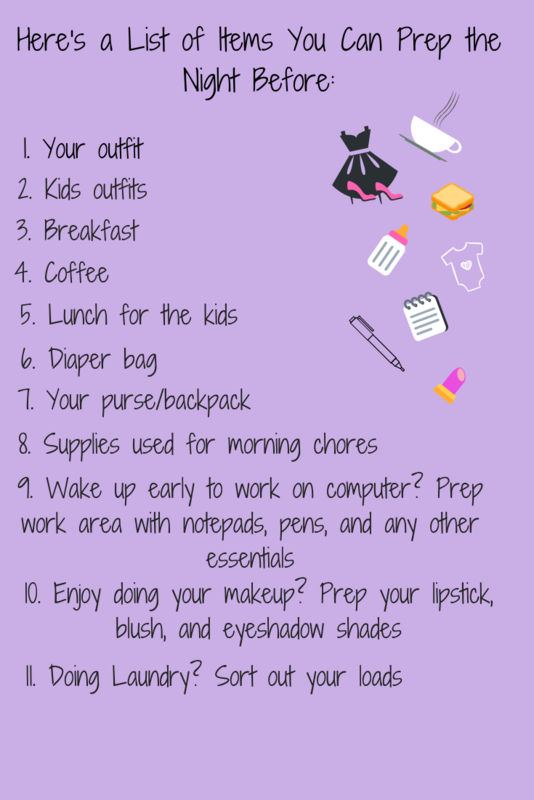 Do you start your day getting ready to take the kids to school? Maybe get their lunch ready the night before. Are you a stay at home mom that likes to get her chores done early in the morning? Maybe get your cleaning supplies ready along with a comfortable outfit and a playlist of songs you can listen to while you clean. You get the idea here. Just do what will help you and your morning routine. But sometimes we’re too exhausted to prep anything at the end of the day. If that’s you on most nights then try this: Mentally prep your outfit or something else before going to bed while your sitting on the couch, washing dishes or taking a shower before bed that way when you wake up at least you have an idea where to start or what to grab. If you find it difficult getting dinner on the table every night I’m willing to bet there’s one big obstacle keeping you from tackling that oh so necessary daily task (hey we gotta eat every day, right??) you have no idea what to make! Oh, and once you decide what to make you then realize that you’re missing half the ingredients you need. So what do you do aside from pulling out your stash of takeout menus? Sit down for a few minutes and come up with about 10 meal options that you know are easy to make. Nothing that requires long hours for marinating or tons of ingredients. This list is supposed to make tackling dinner easy. I came up with a list of my own a couple of months ago. Nothing fancy, just a sheet of paper straight out of an old notebook. 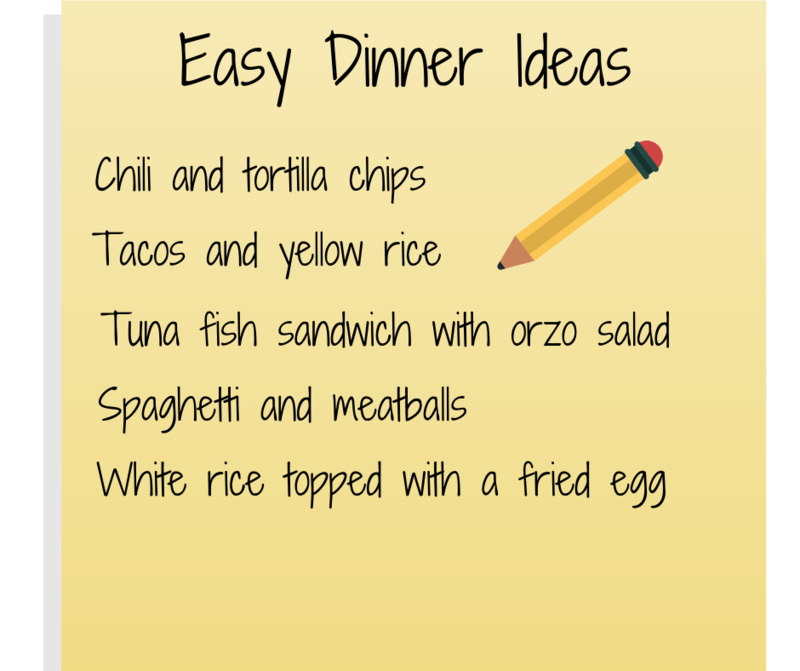 The list includes meals like chili, a tuna pasta salad we love, a super easy baked ziti recipe I found online and even sandwiches. The key points to keep in mind here when creating your list is to stick to meals that you know are easy and with ingredients that you normally keep in your fridge or pantry that way you’re not having to run to the supermarket at last minute. You also don’t have to stick to using this list every single day. No need to become bored of these easy go-to meals or have your family protesting against the rotating tacos, chili, and sandwich dinners. I’m always trying new things so I don’t use my list every day. It’s great though to know that I have a go-to place for easy meals when I have no idea what to make or have no time to go to the supermarket and honestly, we have plenty of days when we order in too. So don’t feel guilty if that’s you as well because unless you are that person that’s able to zone out and relax when cooking (not me) then you need a break every so often from the kitchen. Ok guys, hope you like these tips and start using them today. 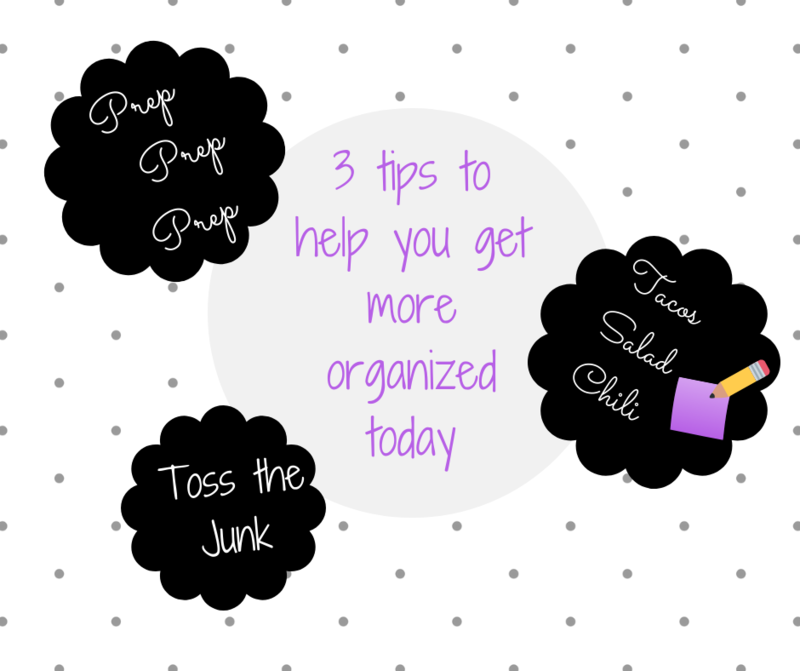 They help me stay a bit more organized and I’m sure they can help you too!